In 2013, I worked as a strategy consultant at JWT supporting new business and working with the New York and global teams on a series of high profile pitches including PUMA and Google Apps. From trailblazing, sustainable packaging to capturing a nascent generational feeling in their marketing with PUMA Social, PUMA has always pushed the boundaries of what it means to be an athletic brand. However, the iconic brand found itself losing relevance in 2013 to the powerhouse Nike and newer players like Under Armour and Lululemon. They began to transform their company and brand through a purpose-driven platform Forever Faster, seeking an agency to relaunch PUMA to the world. 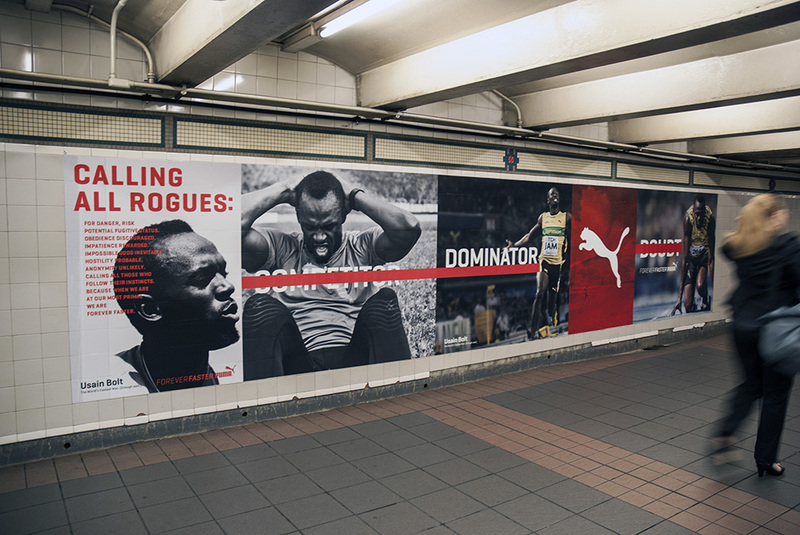 Reinstate PUMA back to the stage as a global, athletic powerhouse. Role Overview: Spearheaded U.S. research, uncovered key brand and cultural insights and cowrote creative brief for global PUMA pitch. Beyond having become an iconic fashion brand, PUMA’s real history was rooted in sports. We found that the brand had a long history of attracting and sponsoring athletes who became trailblazers in their sport through what seemed like an almost cat-like, instinctual joy of their athletic pursuit. Athletes like Serena Williams paved the way for women and black athletes as an unapologetic powerhouse in tennis. Usain Bolt defied the limits of human speed with a wink and a smile. In short, the brand had a “joyfully defiant” gene, attracting those with a cat-like, instinctual attitude and history of supporting athletes who rewrote the societal rules in sports for the sake of fast-forwarding progress. PUMA had an exciting opportunity to unite and ignite the instinctual prowess in us all by rallying athletes to liberate their instinct to pounce. Global pitch win. Language from original strategy continues to guide PUMA's brand today 5+ years later (as seen on their website). PUMA has regained cultural relevance and revenue continues to grow. JWT retains account 5+ years later.